Life gets easier with walking aids like rollators, medical walkers and canes. Find the perfect mobility aid, whether you need a knee walker, crutches or a quad cane and make it your own with a large selection of accessories and features. Of all walking aid types, mobility walkers offer the highest level of stability and support for seniors and people with disabilities. The two-side support provides excellent balance support and the basic, sturdy frame equipped with two or no wheels allow users to safely place most or all of their weight on the walker. 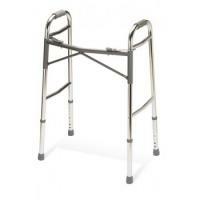 Medical walkers are recommended for independent individuals with low mobility but good arm function. Rollators, also known as rolling walkers, provide two-side support and are equipped with four wheels, a seat and backrest. Because they are equipped with four wheels, rollator walkers require some stability to avoid falling and do not offer complete weight bearing capabilities. 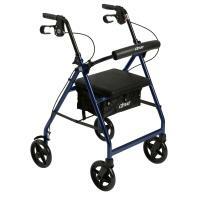 For individuals who do not require the high level of support provided by medical walkers, many prefer rollators for their convenience, sleek design and ease of use. Crutches are used as to remove weight bearing from legs for individuals with short-term injuries or long-term leg weakness. 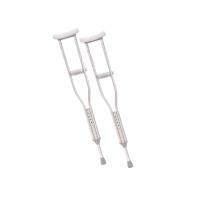 To use crutches safely, users must have good upper body strength, including shoulder, arm and hand strength. Medical canes are non-weight bearing mobility aids that provide one-sided balance support for independent walkers who need some help with stability. Low-cost and lightweight, walking canes are the ideal aid for anyone who needs something to help prevent loss of balance when they’re partially unsteady on their feet. 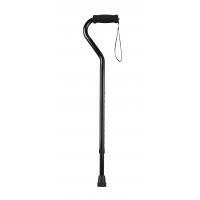 Canes are available in many varieties, including quad canes for additional balance support, as well as convenient folding canes and seat canes. Knee walkers are used by individuals with temporary leg injuries. These mobility devices provide a place for the injured leg to rest so users can get around on their good leg. If your mobility level, or that of your loved one, is lower than required for use of the steadiest walking aids (such as a walker), you may want to consider a manual wheelchair or an electric wheelchair. 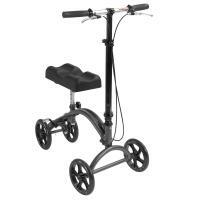 Order your mobility aids today and we’ll have them shipped by tomorrow! If you need any help with your selection, give us a ring – we’re always here to help you make your purchase with confidence.